Time could be up for a crooked cabal of magistrates, state prosecutors and police allegedly working closely with a criminal syndicate in subverting justice in KwaZulu-Natal, South Africa. It is alleged that the senior magistrates linked to the syndicate are getting paid to let off rhino poachers, murderers and rapists with a slap on the wrist. People operating pyramid schemes are also getting off scott free. 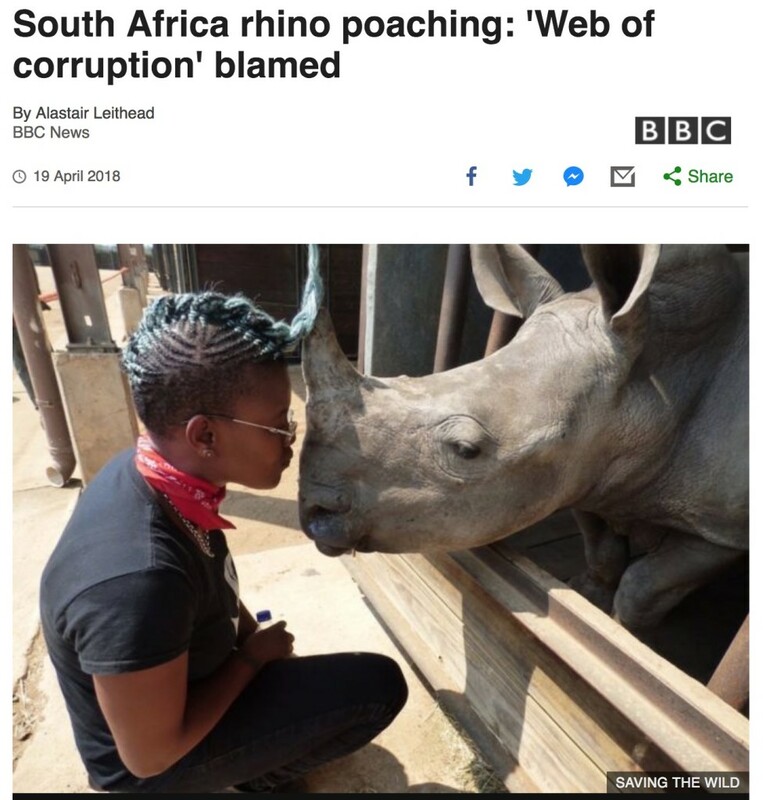 The allegations first publicly surfaced in October last year when the environmental organisation, Saving the Wild, published the ‘Blood Rhino Blacklist – an alleged syndicate of magistrates and prosecutors protecting not only rhino poachers and kingpins, but murderers and rapists too”. Saving the Wild is run by wildlife activist, Jamie Joseph, who ratcheted up the pressure this week, arranging the worldwide publication, via BBC, of an open letter endorsed by prominent people including Sir Richard Branson, Dr Jane Goodall, former New Zealand prime minister, Helen Clark, and local musician Vusi Mahlasela. THE OPEN LETTER urges the South African government to take action against the alleged syndicate and to support the police in their investigations. Publication of the letter follows concerns that there has been a political cover-up of these investigations with several key witnesses now fearing for their lives. In interviews with the Sunday Tribune, Joseph said the Magistrates Commission started investigations into magistrates, including KZN’s Regional Court president, Eric Nzimande, more than two years ago. She said despite evidence of corrupt deals with poachers and criminals, no disciplinary action has yet been taken against implicated magistrates and others. She said her own investigative team, the Magistrates Commission and police had evidence that Nzimande was allegedly a key role player linked to a rhino poaching syndicate. Nzimande has denied the allegations and that he is being investigated. Chris Barnard, head of the Magistrates Commission, confirmed the investigations into KZN magistrates, including Nzimande. He said no action had yet been taken because investigations were ongoing and incomplete. “There are presently criminal investigations being handled by the SAPS while we will deal with misconduct allegations. This makes things very complicated. We have two magistrates overseeing the investigations into Nzimande,” said Barnard. Pressure is now mounting on the commission and other justice departments to act decisively. Deputy Minister of Justice John Jeffery assured that the delay in justice being served was not a cover up. “Nobody is above the law, we will act against magistrates who are found guilty of misconduct, as we have done previously,” promised Jeffery. 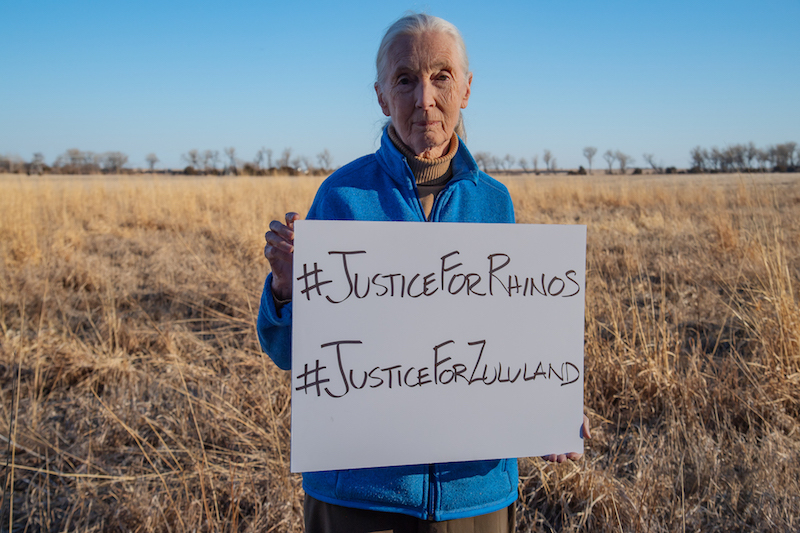 In her letter, published online by the BBC, Joseph claimed that that law was not acting as a deterrent to the slaughter of rhinos. 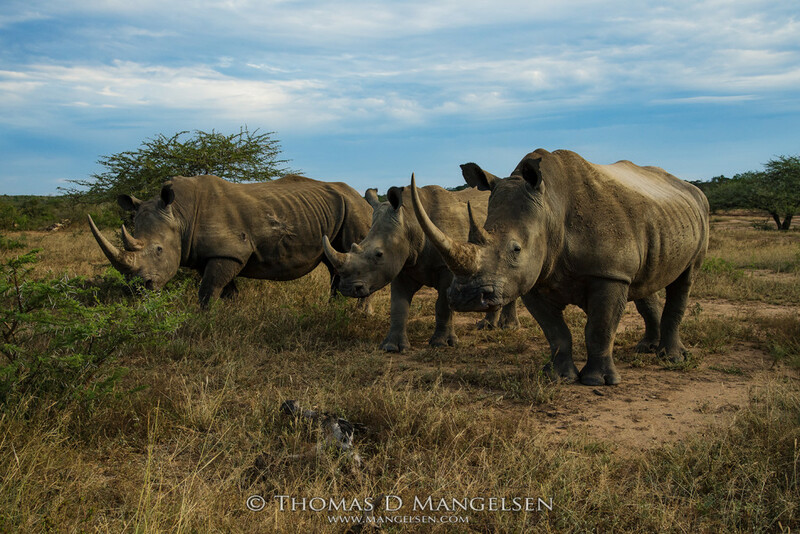 She highlighted that in 2017 alone, 222 rhinos were killed for their horns in the province, which are known to fetch as much as R160 000 a kilogram locally and ten times more overseas. “Zululand is now referred to as the ‘catch and release province’. Saving the Wild has also claimed that there is a definite system of command within the alleged syndicate, with the shared intention among all role players to make a profit. Confirming that Nzimande was being investigated, Jeffrey said he was also aware that Joseph had received death threats. He said his department did not have the power do anything until the commission made its recommendations. “I am concerned about the delay, but it has to be resolved one way or the other,” said Jeffery. But he added that the department was no longer appointing two recommended candidates as KZN magistrates as they also had “clouds hanging over their heads”. Joseph said that now retired policeman, Major-General Bala Naidoo had presented a police investigation into a syndicate to KZN Director of Public Prosecutions (DPP), Moipone Noko. “Action was promised, but there had been no visible progress”, said Joseph. While Noko did not respond to queries, Joseph is still optimistic perpetrators will be brought to book. “All we want is for the DPP to assign top advocates to this important police investigation. I do believe justice will be done. There are enough resilient and influential people fighting for this now,” said Joseph. When the National Police Commissioner Khela Sithole and his team appeared before the Police Portfolio Committee in Parliament this week, DA MP Dianne Kohler Barnard raised the issue of rhino poaching. The IFP’s chief whip Narend Singh promised to challenge the delay when Parliament sits on Tuesday. He said he had raised concerns around corrupt activities linked to rhino poaching over a year ago, but had yet to receive a response from Jeffery’s department. 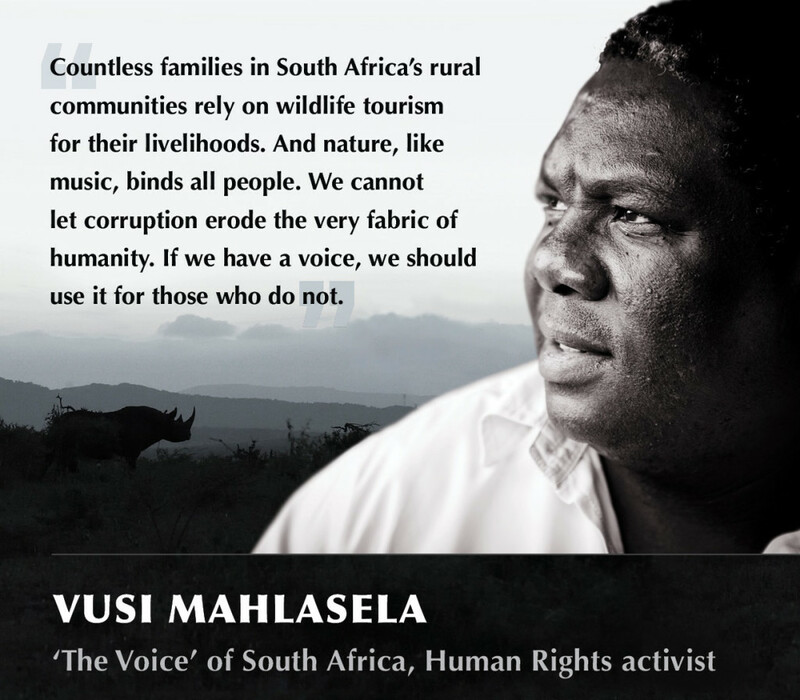 “I am here, and present, to speak out for the rhinos, and mostly for my people of Zululand.” -Toya Delazy. To find out what happens next, follow the updates on Saving the Wild Facebook and Twitter: #JusticeForRhinos #JusticeForZululand.